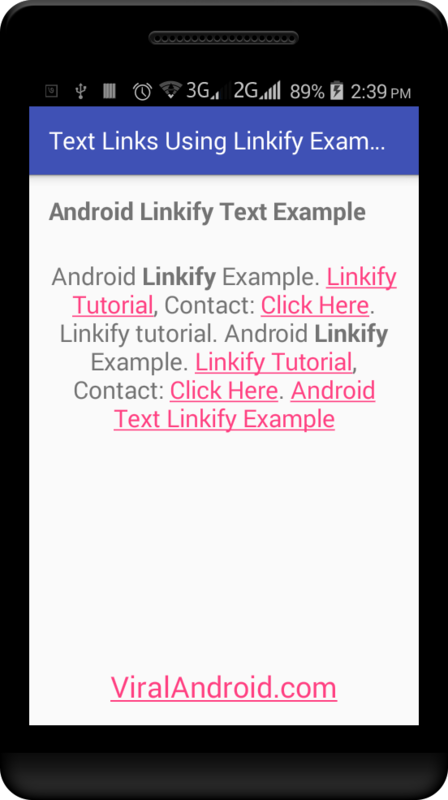 In this tutorial, you will learn to add links in text/content in android application using linkify. You can add links in text like email address, website url. You can add html tag to make text clickable with links i.e. <a href=www.viralandroid.com>Android Tutorial</a>. Following is the modified content of xml layout file and strings.xml file. Now, run your android linkify example application which will look like output given below.